Teams with large payrolls are not guaranteed to win championships. In sports the more talented the player, the more expensive their services become once they reach free agency, thus teams with large payrolls are filled with players who are, or at one time were, extremely talented at their chosen profession. The road to a championship requires a commitment to excellence, and for the 2013 Los Angeles Dodgers that journey was just beginning. The Best Team Money Can Buy by Molly Knight explores the transition of the Dodgers from the disastrous ownership tenure of Frank McCourt to the new ownership of Mark Walter. Knight explores the team on the field, in the front office, and the world around them. Major League Baseball understood the value of ensuring the transition from McCourt to Walter went smoothly and acted in the best interest of baseball. Knight does an excellent job of examining the players on and off the field. The Dodgers to securing their ace, Clayton Kershaw, for the long term was critical to the health of the team. If Kershaw was able to walk away from the Dodgers, like Zack Greinke eventually did, the immediate future for the team would have been about building towards division not World Series titles. Los Angeles’ front office knew their fans would turn on the team if Kershaw was allowed to walk. Resigning Kershaw was as much a baseball move as it was a public relations move. Contrasting the focus and dominance of Kershaw was the explosion of Yasiel Puig. The willingness to sign a relatively unknown talent was a risk, however the excitement Puig brought with him to the Dodgers out weighed the risk in the eyes of the fans. Puig’s experience with his teammates and the insight Knight provides shows the difficulty many Latin American players have in adjusting to life in the United States, especially Cuban players. Puig’s near instant success meant he found some of the pitfalls that caused other superstars stumble. While electrifying on the field, Puig’s antics off the field and in the clubhouse rubbed many of his teammates the wrong way. This left manager Don Mattingly with the delicate job of keeping Puig happy while not alienating the rest of the team. This challenge was made even more difficult as the Dodgers showed little faith in Mattingly, who never felt secure in his job while in Los Angeles. This constant balancing act in the clubhouse made performing on the field more difficult than normal. The internal drama was overshadowed as the ownership regime of Frank McCourt came crashing down all around Dodger Stadium. Prior to owning the Dodgers, Frank McCourt owned a parking lot in south Boston. He attempted to buy the Red Sox and move them to a new stadium that he would construct on his parking lot. When this plan failed he turned his attention to the Dodgers. McCourt had bigger dreams than bank accounts, but was able to purchase the Dodgers with loans he secured by putting the parking lot up as collateral. Eventually the loans went unpaid and the parking lot was seized. Ultimately the Dodgers were sold to McCourt for a parking lot in south Boston. McCourt ran the Dodgers into the ground. He had little interest in the team beyond how they could make him richer. As his personal life went up in flames he attempted to hold onto the Dodgers through a television deal that would pay him enough to remain owner after his divorce was finalized. Major League Baseball was forced to step in to prevent the deal. His divorce turning nasty and dragging on, McCourt was ordered to sell the team. The Dodger fan base was skeptical of new owner Mark Walter. However, Walter was only interested in winning. Signing fan favorite Andre Ethier to an over priced contract was more of a public relations deal than a smart baseball deal. Walter understood he had to win back the fans after many had rightly walked away under McCourt. Winning was the most important thing, money would solve some problems but not everything. The early building blocks of the perennial contender the Dodgers have become were laid in 2013. Molly Knight examines the circumstances surround the team during this critical time, yet she also helps the reader understand why the rebirth of the Dodgers is so important to baseball. She does an excellent job of exposing the personalities on the team that made the team successful and struggle. Sports teams are often not seen as being made up of people, but Knight makes you see the quirks and craziness that each player brings to the Dodger clubhouse. Molly Knight’s work in The Best Team Money Can Buy is as critical to the understanding of baseball’s current state as Michael Lewis’ Moneyball. Money does not guarantee championships, as baseball cannot be bought and sold, but it does not hurt. I am not a die hard Dodger fan. I have only been to Los Angeles and Dodger Stadium once. I was attending my now wife’s cousin’s wedding in Oxnard and as part of the trip we went to Dodger Stadium for a game. Even then I went to the game more to see the stadium than the team. The Dodgers pummeled the Phillies and we got to experience the most annoying Phillies fan on the West Coast. My primary love for the Dodgers is Vin Scully. In recent years, I always enjoyed listening to the broadcast when Los Angeles were at home so that I could listen to the voice of baseball. It never mattered what the score was, I just wanted to listen to the stories. The history of the foul pole, the rise in popularity of beards on ball players, or anecdotes about some player who has not played a game in decades. Yes, please, and thank you. There was no need for a partner, Vin Scully could do it all. He could call the game, debate controversial calls, supply the history of almost anything going on, and provide endless entertainment and information. I have tried to watch a few Dodger games this season, but Charlie Steiner, Rick Monday, Joe Davies, Nomar Garciaparra, and Orel Hershiser just are not Vin Scully. It is unfair to compare these broadcasters to the greatest of all time. Steiner and Davies are professional, they earned the opportunity to call games in the Majors. Monday, Garciaparra, and Hershiser bring their playing experience and expertise to the booth. In some ways it may be better with this new group of Dodger broadcasters, but the retirement of Vin Scully leaves something missing from every Dodger home game. I have never met Vin Scully, doubt I ever will. The closest I will probably ever get was sitting in the outfield bleachers that day, straining my eyes to see if I could see the voice of baseball in his broadcast booth calling the game. Watching a master ply their craft allows you a look inside a world where greatness is the norm. I wanted to watch. My now sister-in-law went to the game with us and asked me why I kept straining to see the press boxes. My now wife told her it was because I was trying to see my buddy, Vince Gulley. I should explain. When I started dating my wife five years ago she knew the bare minimum about baseball. She has learned more than she ever wanted to, mostly through exhaustion and/or osmosis. Even now she can only name a handful of announcers. Marty Brennaman, mostly because she is from and we live in Cincinnati. Harry Caray, Skip Caray, and Chip Caray because my love for the Atlanta Braves, and thus the connection of the Caray family. She knows Joe Buck, but she has a physical reaction at the mere mention of his name, that turns even more sour if he is “announcing” a baseball or football game. It took some time but she now knows Vin Scully. For several years she did not understand how to pronounce his name and thought I was saying Vince Gulley. The many late nights I have stayed up late just watching a Dodgers game after a long day of work she began calling him my buddy. Vin Scully as my buddy is an easy visualization. Listening to him call a game was like watching a game with a friend and just talking about what was happening and anything else that came up along the way. Maybe it was about the game on the field, or maybe it was just something that came to mind. It did not matter what it was, listening to Vin Scully was always a pleasure. The game on the field was central, but not necessarily required for the time spent between Vin Scully and his friends to be quality time. He knew when to talk and when to just let the sounds of the game flow over you and transport you to Dodger Stadium. I miss Vin Scully. I am glad I was able to spend so many late nights and sunny Sunday afternoons with him. I am also glad he was able to leave the game at a time and in a fashion that suited him. There is a certain justice in seeing the greatest of all time walk away at a time and place of their own choosing, not when age, injury, or declining ability force them out. During his farewell address to Congress, General Douglas MacArthur said, “old generals don’t die, they just fade away.” Vin Scully was never a general, but his retirement has allowed him to fade away, just the like sun on a baseball diamond where for so many decades he called the game. There are several ways to define greatness. No single definition will satisfy everyone’s understanding of the word. One definition of greatness in baseball, and in life, is doing the unthinkable while also doing the basic things extremely well. There are several super star players in baseball at the moment, but Mike Trout rises above the others for his greatness and his ability to do the basic things well. This consistency, season after season, has led Trout to never finish lower than second in the American League MVP voting. He has received a vote on 148 MVP ballots in his first five seasons, out of a possible 148. Trout won the MVP Award in 2014 and 2016. He finished second to Miguel Cabrera in both 2012 and 2013, and to Josh Donaldson in 2015. In his rookie season, Trout received all 28 first place votes for the 2012 AL Rookie of Year Award, far outdistancing runner up Yoenis Cespedes. The Rookie of the Year Award, two AL MVP Awards, and five Silver Slugger Awards are quickly filling up Trout’s awards case. In some ways, the awards mask Trout’s dominance. He has drawn at least 83 walks in each of the last four seasons, twice leading the league with 110 in 2013 and 116 in 2016. This while sharing the Angels lineup with Albert Pujols. 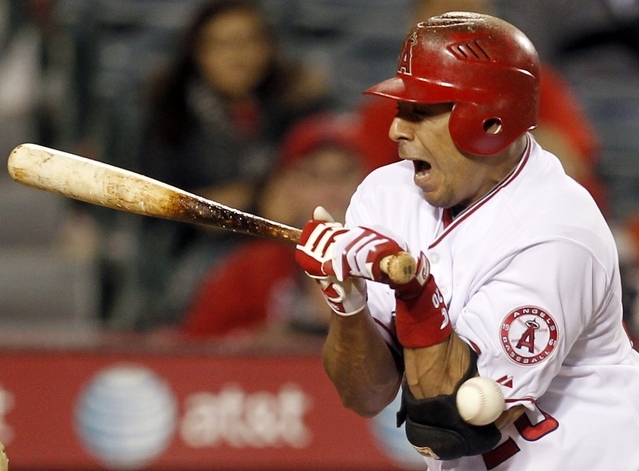 Trout’s discipline at the plate has meant a .405 career OBP. Yes, Trout does strikeout more than he probably should (136 times or more in every season), there are two things to remember. First, his walk rate is increasing while his strikeout rate is decreasing, so he is still learning. Second, Mike Trout is 25 years old. He is still a young ball player. Despite all his ability on the field, Trout does not receive the appropriate fanfare he should. He is one of the most visible players in the sport, yet he could be so much more. There are three things that have dampened his rise to supreme super stardom. Above all baseball is a team sport. No individual can truly carry an entire team for a season like a player can in basketball or football. If Mike Trout were to get hurt, the Angels could replace him and still remain competitive. If LeBron James or Tom Brady were injured their team’s season is probably over. This understood, Trout has played on an Angels team that has not consistently competed in the American League West. In his first five full seasons, the Angels have finished as follows: 2012 89-73 (3rd AL West), 2013 78-84 (3rd AL West), 2014 98-64 (1st AL West, swept in ALDS), 2015 85-77 (3rd AL West), and 2016 74-88 (4th AL West). In baseball, great players need to be on competitive teams if they are to achieve the recognition their talents deserve. The second issue is that Trout plays on the West Coast. East coast bias is a real thing, and here is one of the main reasons why. Night games in California during the week start too late for people living on the East Coast or in the Midwest to stay up and watch. It is tough to watch a three hour game that starts at 10pm, when you have to be at work by 8am the next morning. Unfortunately, Friday and Saturday nights are really the only time for players like Trout to shine at home before the national audience. Trout and the Angels are also fighting for an audience in Los Angeles. After the eastern half of the country has gone to bed, there are still plenty of baseball fans awake to watch Trout, if they so chose. The Dodgers’ return to competing for a World Series title has meant less attention on the Angels as they seek their own return to consistently competing for the post season. Anaheim will always be the second team in Los Angeles, in part because Angels Stadium is 25 miles from downtown and Dodgers Stadium is two miles from downtown. Anyone who has ever tried to travel 25 miles in Los Angeles traffic can tell you that reaching Anaheim in time for an Angels game often requires divine intervention. Trout’s greatness is one of a remarkable craftsman. His play makes him a superstar, yet his consistency year after year has him steadily climbing closer to the all time greats. Players like Hank Aaron and Derek Jeter are craftsmen. Aaron hit 25 home runs in all but one season from 1955 to 1973, yet never hit more than 47 home runs in a single season. Jeter averaged 191 hits for 18 of his 20 seasons in the Majors, leading the league in hits twice (1999 and 2012). It is not always easy to see the greatness of these compilers early on in their careers, it is the consistency over an entire career that raises these players from great to legendary. Predicting the future of any player is impossible because the game of baseball is unpredictable. Injuries are the hardest thing to predict. What sort of career would Mickey Mantle have had if he could have stayed healthy? Mantle is already a legendary player, but did he reach his potential? We will never know. The greatness of Mike Trout cannot be ignored but it is only occasionally celebrated. He is a superstar, yet few people understand the company Trout is in through his first five full seasons in the Majors. Comparing Trout by age has meant comparisons at age 20 to Vada Pinson, Frank Robinson at age 21, and Mickey Mantle from age 22 through 24. The top ten similar batters through their age 24 season are Mickey Mantle, Ken Griffey Jr., Hank Aaron, Frank Robinson, Mel Ott, Miguel Cabrera, Orlando Cepeda, Vada Pinson, Al Kaline, and Jimmie Foxx. Every comparison except for Vada Pinson is a Hall of Fame player, without question. Mickey Mantle is the most common comparison, and the longer these comparisons continue the higher Trout rises in baseball’s pantheon. Mike Trout’s greatness is known throughout baseball, yet he remains undervalued. A talent like Trout may only appear on the diamond once in a generation. Barring injury or some other unforeseen issue we have many more seasons to enjoy Trout and his greatness. Make sure you take time to watch Trout play, even if it means staying up late or fighting through Los Angeles traffic. Greatness should be appreciated, and looking back you will not remember how tired you were the next morning or sitting in traffic forever but that you were able to watch one of the legends of the game in action. The First Year Player Draft, better known today as the Major League Baseball Draft is upon us once again. Every team is searching for the next great player and every player believes they can become that player. Unlike the other major North American sports, especially basketball and football, the players drafted this week will not have an immediate impact on their new team. Instead the best players will spend several years in the minor leagues before they reach the Majors. The path to the Majors has not always started with the draft. Before 1965, every team was able to sign any amateur player they wished. This allowed teams like the Yankees in the lead up to their run in the 1950’s to sign the best players through better scouting, and in some cases simply offering more money to a player than another team could offer. This not only stockpiled the Yankees farm system, but kept these players away from other teams. Major League Baseball created the First Year Player Draft in 1965 to create a more level playing field. Since then, the draft has gone through several changes through the years to its current configuration. However, the story behind these changes and tweaks are for another post on another day. The draft is an inexact science which makes drafting well seem like winning the lottery. Ken Griffey Jr. was the first overall pick in the 1987 Draft and, to date, he is the only first overall pick to gain election to Cooperstown. Griffey should be joined shortly by Chipper Jones and potentially Alex Rodriguez; although I am not sure the voters are ready to welcome Rodriguez with open arms. It took 23 drafts before any team with the top pick was able to land a super star that was worthy of enshrinement in Cooperstown. If drafting was so easy, every team with the top overall selection would always turn out to be the next Bryce Harper, Adrian Gonzalez, or David Price instead of Steve Chilcott, Brien Taylor, or Matt Bush. Predicting the future is never easy. However, Rick Monday did not have the Hall of Fame caliber career the Athletics were hopeful for when they drafted him. Fortunately, Kansas City did not strikeout with their first selection. Monday received two votes (0.5%) in his first year of eligibility for the Hall of Fame and then was removed from the ballot. Plenty of players have long careers, yet never receive any votes for enshrinement in Cooperstown. A single or double is always better than an out. The most memorable moment of Rick Monday’s career occurred on April 25, 1976. The play had nothing to do with baseball, yet is remembered as perhaps the greatest play in baseball history. Monday and the Cubs were playing the Dodgers at Dodger Stadium. Two fans jumped on the field in the middle of an at bat, ran into left Center Field and knelt down beside an American flag they had brought with them. The flag was doused in lighter fluid and the two people were attempting to set the flag on fire. Monday ran from his position in Center Field and snagged the flag away from the fans turned protestors and continued to run with the flag until he reached Dodger pitcher Doug Rau. Monday gave Rau the flag for safe keeping. The protesters, who turned out to be a father and his 11 year old son, were arrested, the father was charged with trespassing, placed on probation, and fined. The exact reason for the attempted flag burning remains unknown, though many theories exist. When Monday came to the plate for his next at bat he received a standing ovation from the Dodger crowd and the message board inside the stadium flashed, “Rick Monday…You Made A Great Play.” Many would argue the greatest in baseball history. Rick Monday was the first baseball player ever drafted. Thousands of hopeful amateur players have followed in his footsteps. Every player who has followed Monday has sought to fulfill their potential on the diamond and reach to pinnacle of the sport. Only a select few have made it to the top, and only a select few of those select few have impacted the game in such a way that they are enshrined in the National Baseball Hall of Fame. The Kansas City Athletics did not swing and miss with Rick Monday. The ability to project a player’s development several years down the road is no easy task. Players fail to reach the Major Leagues due to injuries, lacking the ability to continue to develop like a team projected, personal issues, and a million other reasons. Surviving the minor leagues and reaching the top of the sport is no easy task. Monday had a long and productive Major League career. He was not the best player to come out of the inaugural Major League Baseball Draft, but he also was not a disappointment. The most memorable moment of his career occurred on the baseball field, but had nothing to do with baseball. Whether it was due to his time with the Marines, his sense of national pride, or simply doing what was right, Monday left an indelible memory in his dash to prevent the burning of an American flag. When asked about his dash for the flag and it being what he is remembered for Monday responded, “If I am remembered only as a guy that stood in the way of two guys trying to desecrate an American flag at a Major League Baseball game, and protect the rights and freedoms that flag represents for all of us, that’s not a bad thing to be remembered for.” I could not agree more. The “slide” by the Dodgers Chase Utley into second base was horrific. No one but Utley can say with certainty what his intentions were, but from what we saw Utley went in either with cruel intentions or forgot how to slide into second base. 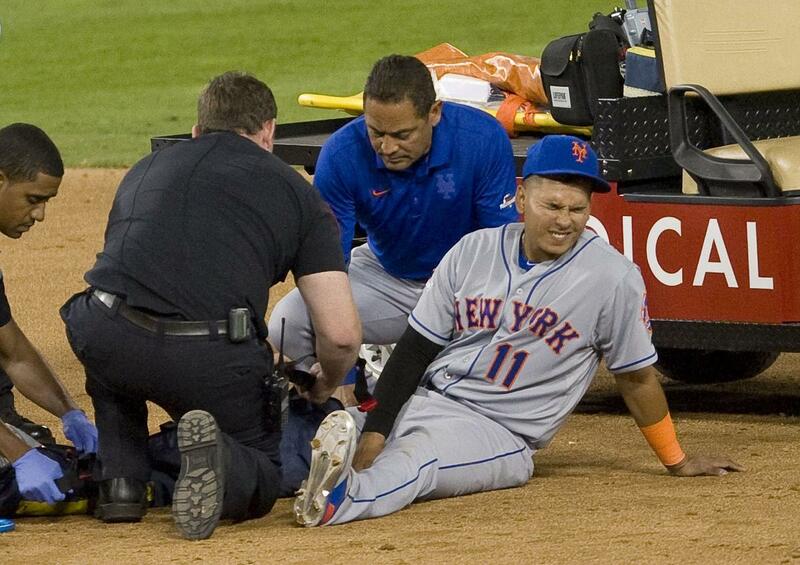 Whatever his intentions were Mets shortstop Ruben Tejada now has a fractured right fibula. Chase Utley has played 13 seasons in the Majors, he has played 12, 954 ⅔ innings at second base, and turned 902 double plays. He is not a starry eyed rookie, Utley knows howto play the game. He knows how a player should and should not try to break up a double play. What was on display at Dodger Stadium in Game 2 of the National League Divisional Series was grotesque. Utley knows better, but he injured another player because he did not play the game they way it should be played. The play was dirty, plain and simple, but why when Chase Utley is generally not seen a dirty player? People are going to argue that the play was not dirty, just Utley playing hard like they use to play. First, it was a dirty play. Second, just because that is how they use to play the game does not mean it is the right way to play. Utley was on top of second base when he began his“slide”. Tejada was doing everything he could to protect himself by being behind the bag. 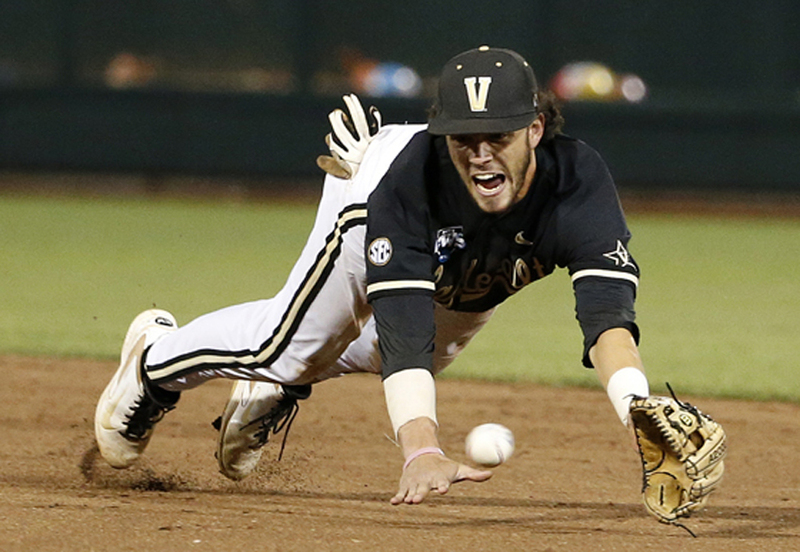 Turning a double play is dangerous for the shortstop or second baseman that has to make the turn. Tejada used the bag as best he could to shield himself from a clean, hard slide, which was justified. However, this is not happened. Tejada had to have his back to Utley to receive the ball from Daniel Murphy, this places him in a compromised position. As Utley is going in to break up the double play he begins his slide so late that he does not make contact with the ground as part of his slide until he is past second base. Beginning his slide so late meant Utley’s body was still high up, potentially too high for Tejada to avoid. It looks almost like a football player being tackled after an unsuccessful attempt to hurdle the defender. This is far too late for the play to be safe but hard. Utley sliding in late with Tejada’s back to him as he begins to turn places the responsibility on Utley to not do anything stupid or dirty so that both players do not get hurt. Apparently this was too much to ask of Chase Utley as he sees the play developing and goes into second base hard, late, and high. Utley also goes in with his body wide. Yes it does appear that he is trying to make contact with the base, in accordance with the rules. However, “sliding” in wide, late, and high with Tejada’s back to him in this case meant the contact was guaranteed. This is where a play turns both dirty and dangerous. The best case scenario for Tejada to be violently flipped by Utley, and even then the play would have been dirty. The reality though is much worse. Tejada was defenseless and paid the price for Utley’s inability to understand that his attempt to break up the double play in this manner was foolish and dangerous. Utley’s stupidity, regardless of intent, has resulted in Tejada having a broken leg and Utley receiving a knee to the head, likely a mild concussion or at least having his bell rung. The Mets lose their starting shortstop and the Dodgers might lose a backup second baseman. There was no need for Utley to take out Tejada. It was a stupid play. After the game ended with the Dodgers evening up the NLDS at one game each, MLB Network begins breaking down the game as a whole and debating whether the play was dirty or not. Eric Byrnes adamantly argued that the play was hard, but not dirty, and that this is how players use to break up double plays. (Brynes has since changed his opinion after seeing the replay more and doing further analysis, which I respect him for doing). Brynes was a fun player to watch because he brought intensity, grit, and passion to the game everyday. However, his initial reaction to this situation was wrong. Just because something has always been done a certain way does not mean that it should continue to be done that way. (Again Brynes has changed his opinion from his initial reaction, but that initial reaction is held by some people). Plays like the one Tejada and Utley were involved in have the potential to end careers; severe concussions, destroyed knees, shattered legs. Change has never come easy to baseball. Purist usually argue that changing the game in any way will negatively impact the game as a whole. Slowly but surely baseball has changed, and usually for the better. Baseball had always allowed for home plate collisions. Talk to Buster Posey about his lost season or Ray Fosse about how his career was never the same. Baseball had allowed the spitball. Talk to Ray Chapman’s family and see how they felt about it after he was killed by the pitch. Talk to the countless African-American players who were denied the ability to play in the Majors simply because of their skin color. Baseball had not drug tested for steroids and other PEDs. Talk to the families of Taylor Hooton and Rob Garibaldi who testified before Congress in the same hearing with Mark McGwire, Sammy Sosa, Rafael Palmeiro, Roger Clemens, and Jose Canseco. Taylor was 17 and Rob was 24 when they committed suicide due to their steroid use. Baseball is continuously changing. Obviously some of the changes it has undergone are far more important and far reaching than others. However, the notion that continuing to do something simply because it is the way it has always been done is absurd, especially if there is a different way to achieve the same end goal while reducing the danger to the players, to individuals who look up to the players, or to end injustice. Chase Utley is not who usually comes to mind as being a dirty player, but what he did in Game 2 was a dirty play. Trying to break up a double play during a playoff game is good, hard baseball. However, what Utley did with his extremely late “slide” was to unnecessarily injure an opposing player and change the series. There are only two times in baseball that it should ever look like one player is tackling another: when a fight has broken out and players are trying to restrain one another and when a team is celebrating a win and the team is chasing the player who got the game winning hit. That is it. Chase Utley took out Ruben Tejada on a dirty “slide”. If people who want to defend what Chase Utley want to talk about how his play is just how baseball is and should be played, then they also need to talk about something else. Regardless if it is in the NLDS or next season there will be a purpose pitch delivered. That is just how baseball is. It could this year before Utley’s appeal is heard. It could come next year when the two teams play each other. Somewhere down the line a purpose pitch will be delivered by the Mets to the Dodgers expressing their anger at this dirty “slide” by Chase Utley. Hopefully the batter on the receiving end of that pitch will be Utley himself and not one of his teammates. Noone should not have to get hit by a pitch for this. It was Utley’s stupidity, he should have to answer for it. Baseball players have always dealt with this sort of thing themselves, and in this case Eric Brynes and others are correct that some things in baseball do not need to change. This is how baseball has always policed itself, and this is how baseball should generally continue to police itself. A player does something stupid, let him take the punishment for it. Major League Baseball acted quickly to suspend Utley. Too bad the suspension is not long enough. He should be suspended for more than just two game, conveniently he would have missed the games in New York had he not appealed. Two games is what you should get suspended for arguing for too long with an umpire about a bad call, not for taking out an opposing player. Utley and the Dodgers should feel the pain he inflicted on the Mets. Appealing his suspension is Utley’s right, but it would be shameful if it were to be reduced. Those on Utley’s side are arguing that he has gone in to break up double plays like this before without receiving a suspension. While this is true, it does not make it right. Fortunately, Utley has not injured anyone seriously before. 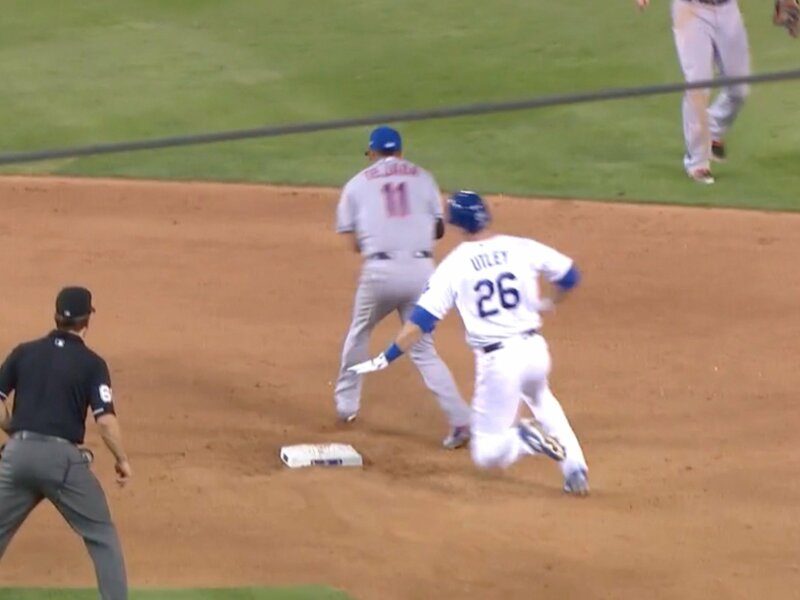 Even Tejada has been on the receiving end of one of Utley’s “slides”, and he was able to walk away. The “slide” during Game 2 was the most egregious of Utley’s questionable slides, and it clearly went from trying to break up the double play to taking out an opposing player. Again we will never know what Utley’s intentions were when he went into second, but ultimately his intentions do not matter. Utley made a boneheaded and dirty play. There is nothing wrong with playing hard and trying to break up a double play, especially in the playoffs. There is however a line between playing baseball hard and playing dirty. Chase Utley flew over that line when he took out Ruben Tejada with his absurdly late slide during Game 2. Go in hard, make the middle infielder jump to avoid you, make the throw to first a little more difficult and take some of the juice off the throw. There is nothing wrong with this. What is wrong is when you slide in late, wide, and high against a middle infielder who has his back turned toward you. Ruben Tejada was trying to make a play. He used second base to protect himself, but Chase Utley took him out with simply a dirty “slide” that resulted in a broken leg and the Mets losing Tejada for the rest of the playoffs. The NLDS has been changed, and not for the better. Instead of talking about the series being tied at a game each, all the talk is about the injury to Tejada and whether the analysis think the play was dirty. This is not good for baseball. Instead of celebrating the game and the playoffs we are arguing whether the play was dirty. What a shame that a fairly ordinary play has turned into a season ending injury for one player and a debate about whether the play and player are dirty. You were better than this Chase Utley, what changed? 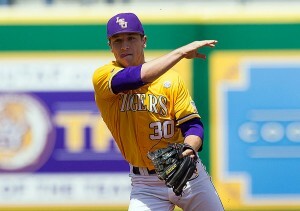 This year’s Major League Baseball First Years Players Draft marks the 50th year of the draft. While the MLB Draft does not receive the same fanfare as the drafts for the other major sports, it is equally important. The major difference is the arrival of those selected to the parent clubs is not immediate, and in many cases never happens. The first overall pick in the draft can be a bust, and the last pick in the 40th and final round could turn out to be an All Star. It is a slow motion venture that teams do not know the results from until years later. The inaugural draft was held in 1965. 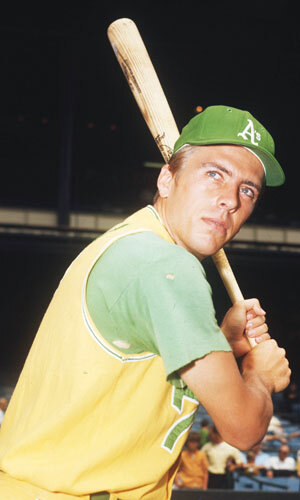 The Kansas City Athletics used the first overall pick to select outfielder Rick Monday out of Arizona State University. 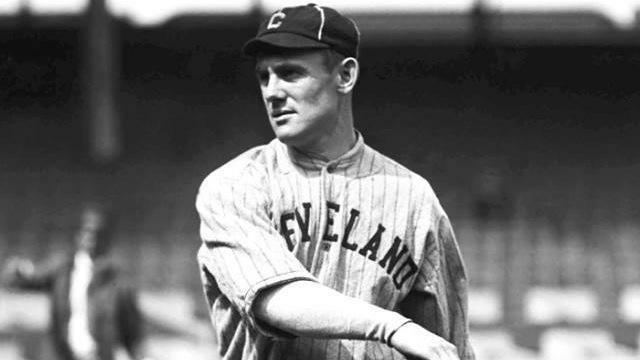 He would go on to have a 19 year career with the Kansas City/ Oakland Athletics, Chicago Cubs, and Los Angeles Dodgers. Monday was a September call up for the Athletics in 1966 and played in two All Star games (1968 and 1978). Monday is most famous for his swiping an American flag away from two protesters who were trying to set it on fire on the field during the 4th inning of the Cubs-Dodger game on April 25, 1976 at Dodger Stadium. The New York Mets held the second overall pick, and selected pitcher Les Rohr out of Billings West High School (Montana). Rohr was also a September call up, making his Major League debut on September 19, 1967. He earned the win against the Dodgers for the first of his two career wins (both coming in 1967). Rohr pitched in 6 career games, compiling a 2-3 record with a 3.70 ERA in 24 1/3 innings. He made his final Major League appearance on September 19, 1969, exactly two year after his debut. The Houston Astros held the fourth overall pick in 1965, and selected shortstop Alex Barrett out of Atwater High School (California). Barrett spent seven seasons in the minor leagues. He played at every level possible in the minors, but never got the call to join the Astros in Houston. Barrett’s career is like so many hopeful draft picks. They believe in themselves, yet everyone is eventually told they can no longer play the game. Some people are told in high school, some are told after more than 20 seasons in the Major Leagues, but at some point everyone is told they can no longer play. It is rare for a player to leave under their own terms, it is often forced upon them rather than their own decision. The MLB Draft is how teams obtain many of the building blocks to build their team. Look no further than the Houston Astros for a recent example or the Atlanta Braves for an example over the long term. The Astros have restocked their farm system and turned themselves around from the doormat of all of baseball into one of the best teams in the American League so far in 2015. The Astros had the first overall selection from 2012 through 2014. Carlos Correa just made his Major League debut, and they have been able to avoid drafting a complete bust. Their inability to sign Brady Aiken in 2014 meant the Astros picked second overall in 2015, in addition to their fifth overall selection, so they can still get a quality player out of a bad situation. Every team aspires to emulate the Braves of the 1990’s and early 2000’s. Winning 14 consecutive Division titles means a team will be selecting late in the draft. Atlanta and Houston have signed some free agents, but they have not been the sole driving force behind both teams success. Teams must scout, draft, and develop young talent well if they have any chance to sustain success. Few teams have the deep pockets that the Yankees and Red Sox have, and even their ability to spend top dollar on free agents does not always equate itself to success as much of their success has been driven by home grown talent. Teams need the ability to bring up their own talent from the minor leagues to fill in hole during the season. Finding players like Chipper Jones or Ken Griffey Jr. (both first overall picked) is not always as easy as it would seem. Mike Trout was the 25th overall pick in 2009, he is arguably the best player in all of baseball and most teams wish they could have a do over. If it was easy to discern what players would make it to the Majors and which would not, there would be a longer list of top picks who went on to have Hall of Fame caliber careers than did not. Currently there are no first overall picks enshrined in Cooperstown., Jones and Griffey will soon be the first. The MLB Draft is an inexact science. Teams do and will make mistakes in their selections. They select the best player available to fit their needs, but there is never a guarantee that a first round pick will become the player the team hopes they would. There is no guarantee that the players selected this week will make it to the Majors, but their journey begins this week. Teams and fans can catch a glimpse of their future, or what they hope is their future, this week when the dreams of hundreds of baseball players come true.